Sanaa, located in Walt Disney World’s Kidani Village, is a great place to enjoy a flavorful meal in a unique atmosphere! 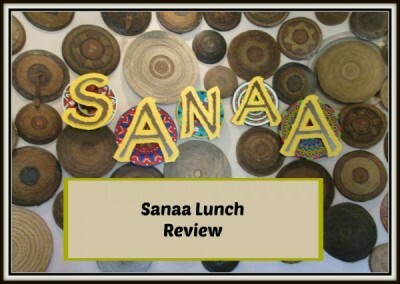 We enjoy going to Sanaa for lunch on a day we’re visiting Animal Kingdom to take a nice break from the heat and the park. The bus ride to the resort is a short one. 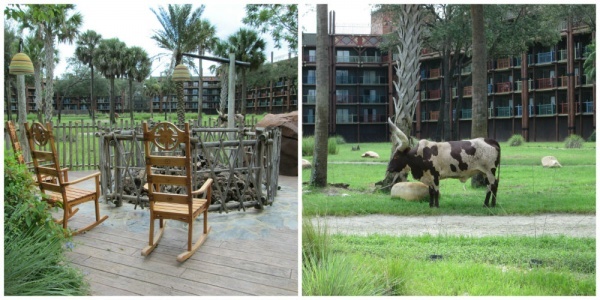 Getting to Kidani Village a little early gives time to explore the resort. 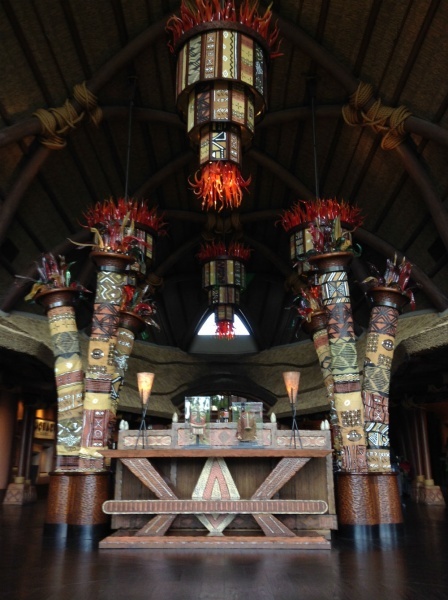 The African décor of the restaurant is loaded with details. We like requesting a seat by the window so we can watch the animals on the Savanna while we eat. 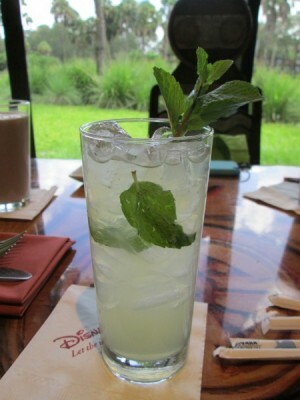 I started my meal by trying a Skinny Coconut Mojito, which was refreshing after a long morning of park touring. 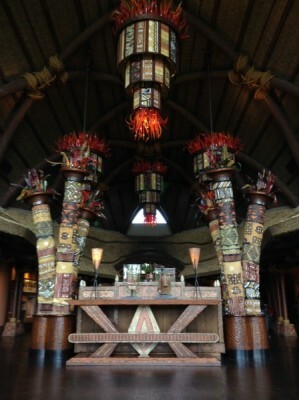 My favorite appetizer in all of Walt Disney World is offered right here at Sanaa! 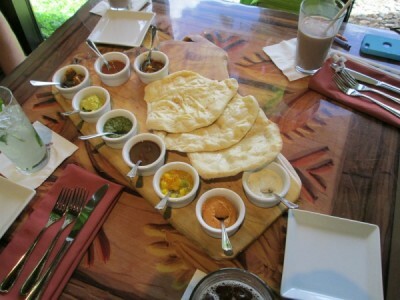 The Indian style bread service includes three naan breads and nine accompaniments. The flavors of the various dips are phenomenal, a true party for your taste buds! I could happily make a whole meal just from the naan bread and the various accompaniments with the bread. 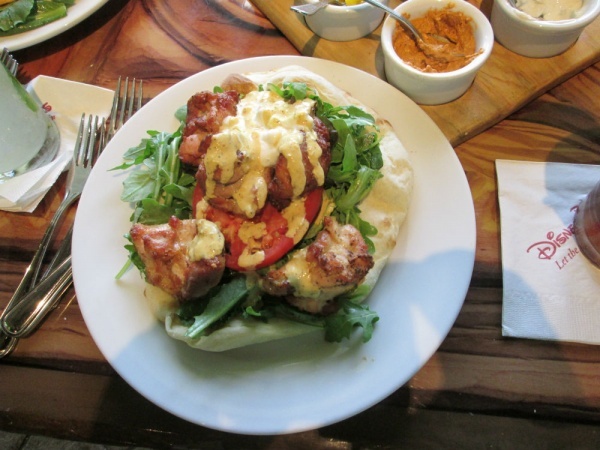 For my entrée, I selected the Open Faced Tandoori Chicken Sandwich. 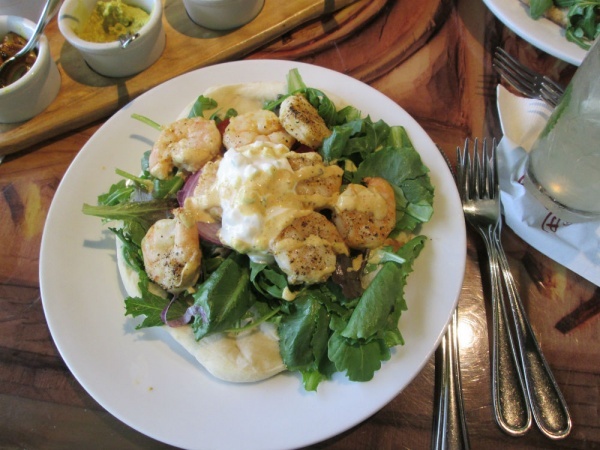 It was on naan bread and included greens, tomato, onion, and a flavorful cucumber raita with tandoori chicken. The various elements blended well together. All ingredients were fresh, and it was delicious! My son choose the Open Faced Tandoori Shrimp Sandwich, which he enjoyed as much as I enjoyed my entrée. My daughter went straight to the kid’s menu, and was happy with her cheese pizza made from a naan bread crust. 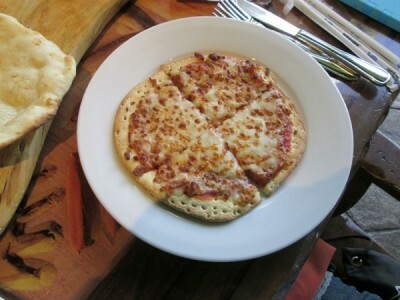 The previous time we were here, this was not on the menu and our server offered to have a pizza made for her. This time, pizza was on the menu. Perhaps a lot of people requested it? I had an initial disappointment with the dessert menu because a favorite item, the Chai Cream, was no longer offered. Regardless, everything else did look delicious! Both my son and I choose the Dessert Trio. That way, we’d have a nice sample of several of the desserts. The Dessert Trio included Tanzanian Chocolate Mousse, Banana Cheesecake, and Seasonal Kulfi. 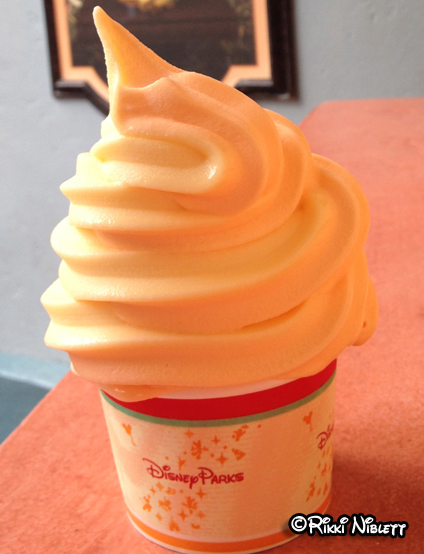 I wasn’t sure what Kulfi was, and learned it is an Indian ice cream that has a great flavor. What I like best about these dessert samplers (well, in addition to the taste!) is that each item is just the perfect size to sample a dessert! 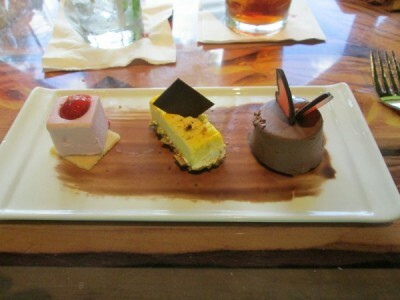 All three desserts were great, though I do hope that the Chai Cream will make a return to the menu someday. The Kulfi was my favorite in the trio we tried. 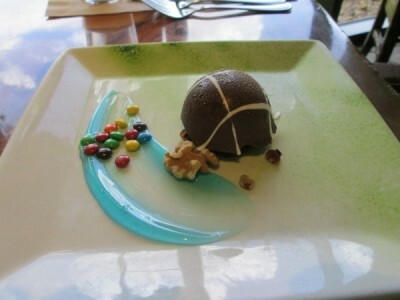 My daughter ordered a cute-as-a-button Peanut Butter Turtle dessert from the kid’s menu. It’s a peanut butter mousse and eggless chocolate cake in a chocolate turtle shell. It was just as delicious as it was cute! The presentation of all of the foods, especially the desserts, was wonderful! You can’t beat the atmosphere of sitting by the window and watching the animals go by as you eat. 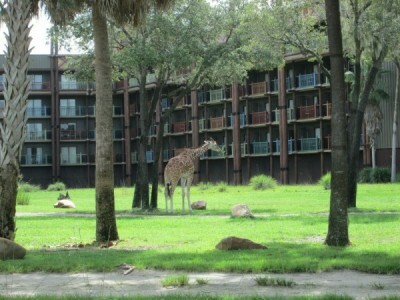 My favorite animal in the Savanna is the giraffe. We think that that food, atmosphere, and service at Sanaa are phenomenal, and look forward to returning for another meal someday. 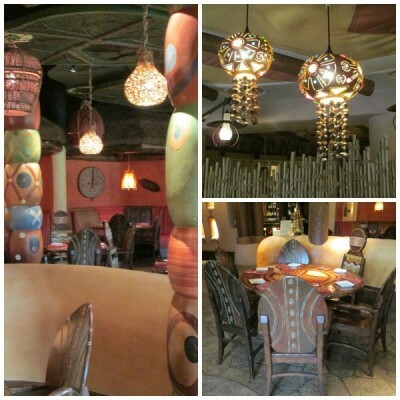 Have you been to Sanaa? Share your thoughts in a comment below, or on the MFL Boards!